Overlanding Argentina with the 3100km journey from Buenos Aires to Ushuaia by bus. 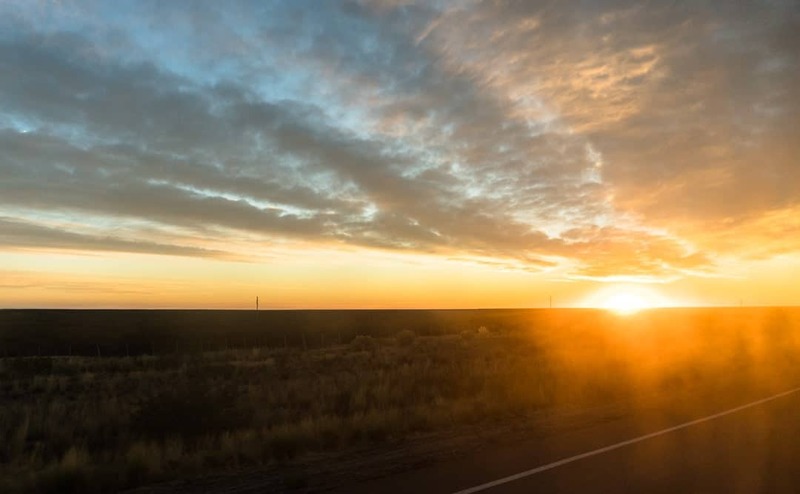 There is no better way to travel across a country than by hitting the road with a sense of adventure and experiencing every mile of scenic splendour that a destination has to offer. Argentina is perfect for this. From the wine regions in the far north to the desert regions in the centre, right down to the snow-capped peaks at the southernmost tip, the amount of diversity in Argentina’s landscapes is truly remarkable. 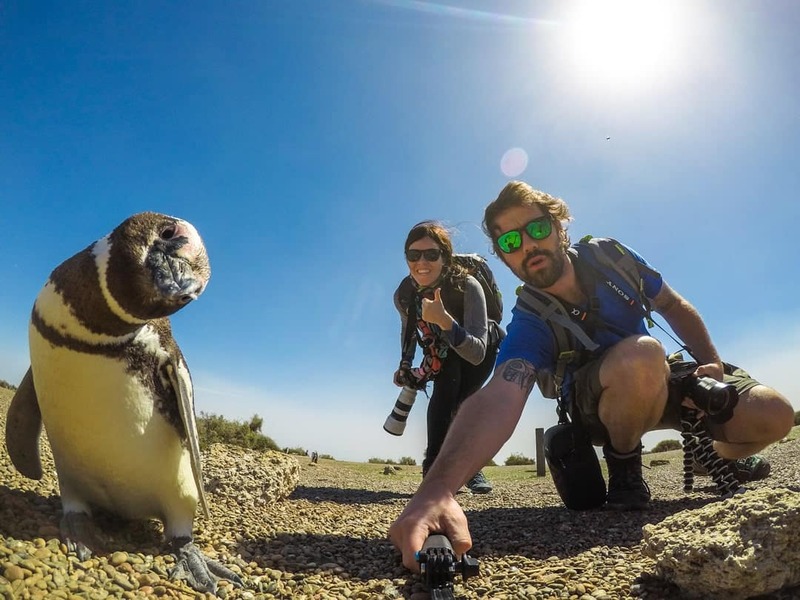 We started off our South America adventures with 3 days in Buenos Aires, then headed south to Ushuaia to start our fantastic Antarctic expedition. 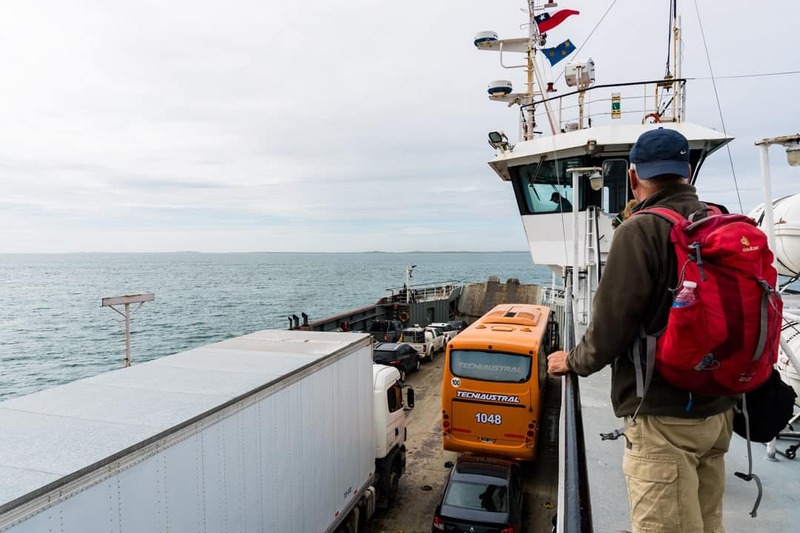 While most people fly to the ‘end of the world’, we decided to travel from Buenos Aires to Ushuaia by bus over 9 days to see what lay along the fascinating coastline. 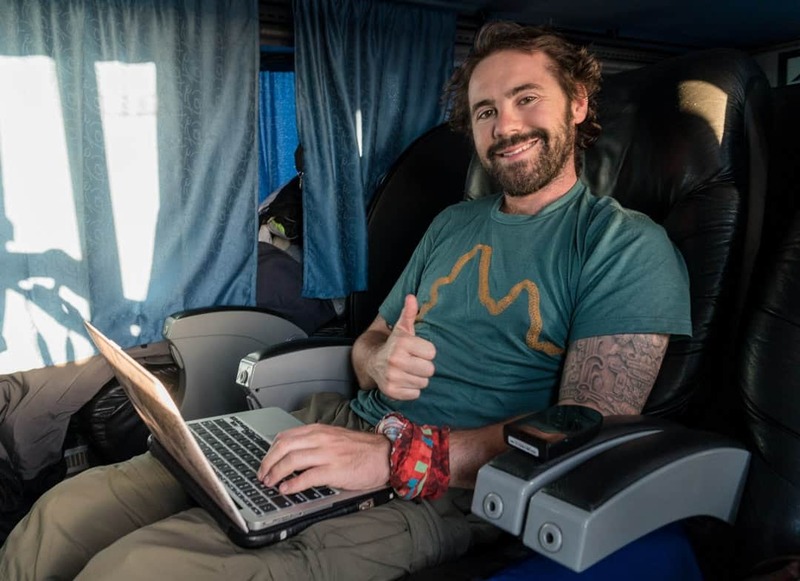 Bus travel in Argentina is famously luxurious, so we knew that we weren’t exactly going to be roughing it. Everyone we spoke to praised the comfortable seats and onboard service. We were actually excited to make this trip! As we were planning on travelling south in the middle of peak season, we quickly found out that buses were booking up weeks ahead of departure! Rather than bouncing between a bunch of hard-to-navigate websites in Spanish to figure out our route, we used Busbud to plan it all out. BONUS – If you book a bus trip on the Busbud website and use our special coupon – BUSBUDNOMAD10 – you’ll receive 10% off! We plotted our route from Buenos Aires to Ushuaia by bus and booked it all on the Busbud website with no fuss. Then it was just a matter of getting to the stations on time! Even though it took a lot longer than flying, we absolutely loved our overland trip south through Argentina. If you’ve got the time we highly recommend it. If you just want to go straight through from Buenos Aires to Ushuaia without stopping over, expect it to take over 40 hours with a changeover in Rio Gallegos. This costs a little less than flying, so it isn’t exactly budget-friendly. Personally if you’re thinking of doing this we recommend breaking up the journey into different legs, and enjoying some of the towns along the way. At the very least stop in Puerto Madryn. This is the route we took to travel by bus from Buenos Aires to Ushuaia. A beautiful sunrise on our bus journey from Buenos Aires to Ushuaia. Buenos Aires is a massive city, and you really get a feel for its size when you drive out of it. The trip from Buenos Aires to Bahia Blanca sticks to some nice highways, and the views gradually change from urban sprawl to flat plains over the first few hours. We arrived in Bahia Blanca at about 11pm after some delays leaving Buenos Aires, and took a taxi to our hotel. Unfortunately we had gone for the cheapest option in town, which was out of the centre and had a sketchy, dilapidated feel about it. We asked our taxi driver if the area was safe, and he just shrugged at us. Oh well, you live and learn. In the morning we took a local bus to the city centre and immediately felt better about Bahia Blanca. Our next bus wasn’t until 9pm, and we had all day to explore the town. Bahia Blanca is a mid-sized city and its downtown area is leafy and pleasant. There was a huge number of cafes and restaurants around the park and we spent a little while relaxing and enjoying the blue skies. Bahia Blanca apparently doesn’t get a lot of foreign tourists, which was made clear to us when we walked into the tourist office and the staff jumped up from the middle of their lunch break with enthusiasm. They gave us tonnes of maps, brochures and advice, and sent us on our way. We grabbed a coffee near the pedestrian street, then made our way to El Mundo de la Parilla, the number two restaurant on TripAdvisor. Despite the reputation, the prices were very reasonable! We got a meat platter, two big salads and a delicious bottle of wine for about 450 Pesos (US$29). The rest of the afternoon we walked around the streets, checked out the parks and drank more coffee in one of the cafes. Soon it was time to head to the bus station for our first overnighter. Book your accommodation in Bahia Blanca. 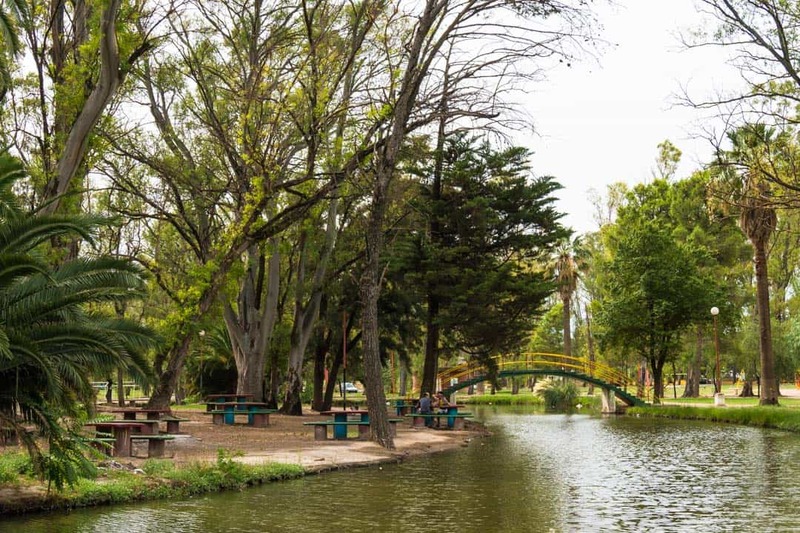 One of the parks in Bahia Blanca. This was our first experience of taking a night bus in Argentina, and we weren’t disappointed! We bumped up to Cama class and had a very comfortable seat that reclined a long way back. Food was served, as well as some soft drink, and before too long we fell asleep for the 10-hour trip south. Puerto Madryn is by far the highlight of the journey from Buenos Aires to Ushuaia by bus. This small town is known for having some of the best marine life encounters in all of Argentina. Make sure you set aside at least 3 days to check off as many things to do in Puerto Madryn as possible. Ideally you would even want more. The town is funky and the beach gives it an enjoyable and relaxed atmosphere. It’s clean and feels very safe. We stayed in an excellent AirBnB right downtown, although there are some great hostels to check out as well. We spent our days snorkelling with sea lions, hanging out with penguins, visiting dinosaur museums and dolphin watching. The nights were out dancing and enjoying music with the locals. It really is a remarkable place! Our time went by way too quickly, and soon we jumped on our shortest ride of the trip to head to Comodoro Rivadavia. Book your accommodation in Puerto Madyn on Booking.com or Hostelworld, or click here for $30 off your first stay on AirBnB. The locals in Puerto Madryn are very friendly. The scenery in this part of Patagonia is pretty same-same, but that doesn’t mean it isn’t beautiful. It’s humbling to be zooming across a barren landscape, the horizon stretching out as far as the eye can see, with guanacos roaming freely. For this leg we actually sat on the top level, right at the front. The huge windscreen gave amazing views and if you can get a spot here we definitely recommend it! The 6 hours passed by very fast in our excellent seats and we arrived in Comodoro Rivadavia on an overcast day. We walked the 5 minutes to our hotel, the Hotel Del Mar, and checked in with the friendly staff. Comodoro Rivadavia is an industrial port town, and to be honest was our least-favourite spot. Many of the shops were closed up in our area, and there was a run-down vibe on most of the streets we walked. Finding the main shopping street, we walked up and down and it felt a lot more modern and safe. But walking down any of the parallel streets had our guards up. We had another night bus that evening and got to the station an hour before our ride. Unfortunately it was delayed by 3 hours, and we sat in the terminal surrounded by shady characters. We didn’t feel threatened, but we definitely kept one eye on our belongings at all times. If we were to do this again we would probably go an hour past Comodoro Rivadavia to Caleta Olivia. That night we went all out and took a Cama Suite to Rio Gallegos with Andesmar. This is like flying first class – the huge leather chairs lay down near horizontal, there are little booths and curtains for privacy from other passengers and we were even served wine along with our meals. This experience will make it very hard to go back to cheap bus seats again! Book your accommodation in Comodoro Rivadavia or in Caleta Olivia. Chilling out and working in our Cama Suite. We have no idea what the scenery was like on the way to Rio Gallegos because it was dark and we slept like babies almost the entire time. This did mean though that we arrived in town completely fresh! Rio Gallegos is a mid-sized town, flat and sprawling with a couple of nice parks on the coast. We stayed in another AirBnB and took a taxi there from the bus station. We were lucky to get an early check-in, and we made the most of our apartment by spreading right out and getting stuck into some work. Eventually the weather cleared up and we went out for a walk. 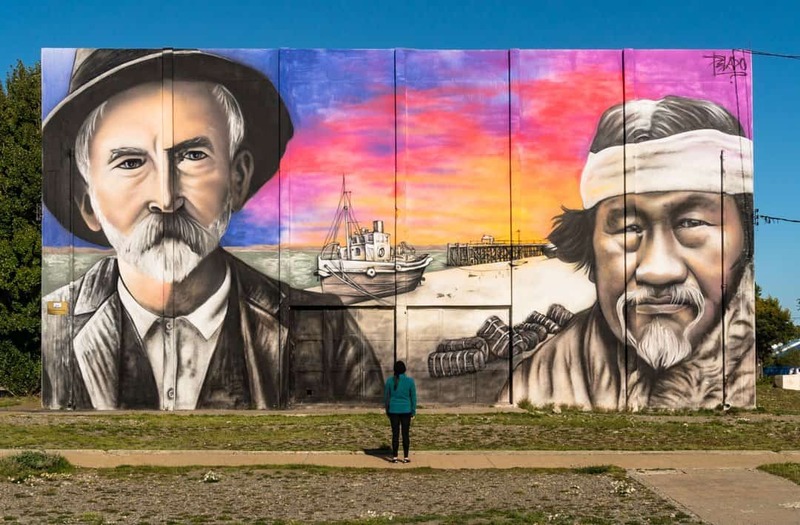 We really liked Rio Gallegos and its interesting street art and chilled atmosphere. Down by the shoreline there was countless kids and families running around, playing games and soaking up the sunshine. There wasn’t a lot to do in terms of sights, but Rio Gallegos made a great stopover for the last leg towards Ushuaia. Book your accommodation in Rio Gallegos, or get $30 off your first stay on AirBnB. Street art in Rio Gallegos. 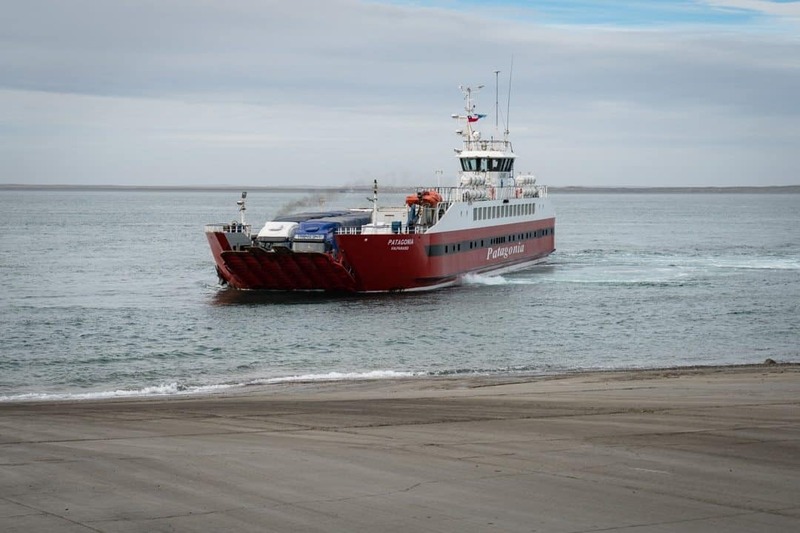 The bus from Rio Gallegos to Ushuaia is done during the day due to the border crossings (into Chile and back into Argentina) and the ferry over the strait. We left town at 08:30 in a packed bus. For the first time we had a number of other backpackers and foreigners on board, showing that this is a common leg for travellers. Note – You have to ‘check in’ for this leg of the journey as you are crossing the border into Chile. Take your passport and bus ticket to your bus company’s booth in the Rio Gallegos station before getting on the bus and they will do it for you. The scenery started off more or less the same, and after a short drive we hit the border of Chile. It was a quick crossing and the customs officers were friendly. Interestingly this stretch of road was in a lot worse condition than what we had experienced in Argentina, but the views made up for it. The terrain changed from dirt and low hills to be rockier with more character. At one point the road hit a wide strait that flowed into the Pacific Ocean further up, and we got to enjoy a ferry ride to the other side. It was cold and windy, but it was nice to be outside for a short while. The ferry across the strait towards Rio Grande and Ushuaia. Eventually we hit the border again and we were checked back into Argentina. With all our paperwork in order we jumped back onboard and headed a little further to Rio Grande. Here we had to change buses to make the last stretch to Ushuaia. Most of the locals jumped off and a few gringos jumped on. This time the bus was nearly empty, and we spread out for the ride. The stretch from Rio Grande to Ushuaia is by far the most spectacular and scenic trip, and the first sight of glaciated peaks and glistening lakes makes the entire journey worth it. If you can grab a seat on the right-hand side of the bus for this ride, and if the weather cooperates you’ll be rewarded with stunning views. 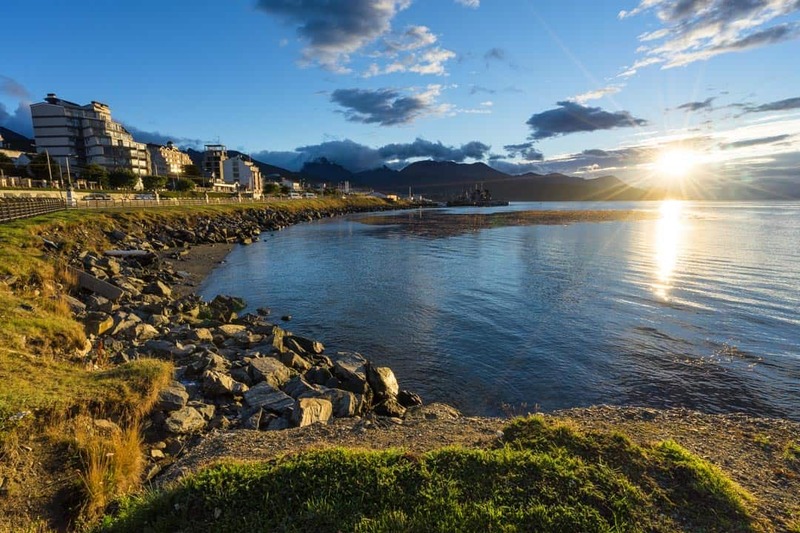 Ushuaia is famous for being the ‘Fin del Mundo’, or ‘End of the World’, and there’s a great sense of achievement for getting here. There’s a lot to do in Ushuaia, such as trekking in Tierra del Fuego, visiting penguin colonies or taking an expedition to Antarctica. Book your accommodation in Ushuaia on Booking.com or Hostelworld. Congratulations! You’ve made it from Buenos Aires to Ushuaia by bus. The 3100km journey has taken a while, but you’ve seen some incredible things along the way that most people miss out on. There’s a sense of achievement for travelling overland, and that first Beagle cerveza you enjoy in Ushuaia is going to taste so much better when you reflect on everything you have seen along the way. Long distance bus travel in Argentina is very comfortable, which is lucky because the distances are huge and the price is not exactly cheap. Bring extra water. While you may get some onboard, they often just have super-sugary drinks. A big bottle of water will be much needed. Print out your bus tickets! You cannot just take screenshots on your phone as the drivers need physical copies. Book your bus tickets as far in advance as possible. They can, and do, book out, and we have heard of people getting stranded due to waiting until last minute. We recommend using the Busbud website as it searches across a variety of bus companies, classes, itineraries and routes in a few clicks. Have warm layers with you. The driver may have the air conditioning extremely cold and you’ll be thankful for a sweater. Splurge out for a Cama Suite just once. It will be a great experience, and help ensure you have an excellent sleep. Even if some buses claim to have wifi, don’t expect it to work. In fact we couldn’t even download an email using the bus company’s wifi. Instead we used a Tep Wireless hotspot to connect to 3G on the way down. This gives you unlimited data and you can connect up to 5 devices at once. Well worth having on you in case you need to make any last-minute bookings or just check in with the real world. Night buses are your friend and will help you save on accommodation. Ear plugs and a mask will be very handy if you get some loud passengers and you want to have a nap. Bring some food on board as you might not like what is provided by the bus company, and there isn’t always a lot of time at bus terminals to go buy any. Get to the bus terminal an hour before your scheduled departure, but fully expect there to be a delay. This is South America, after all. 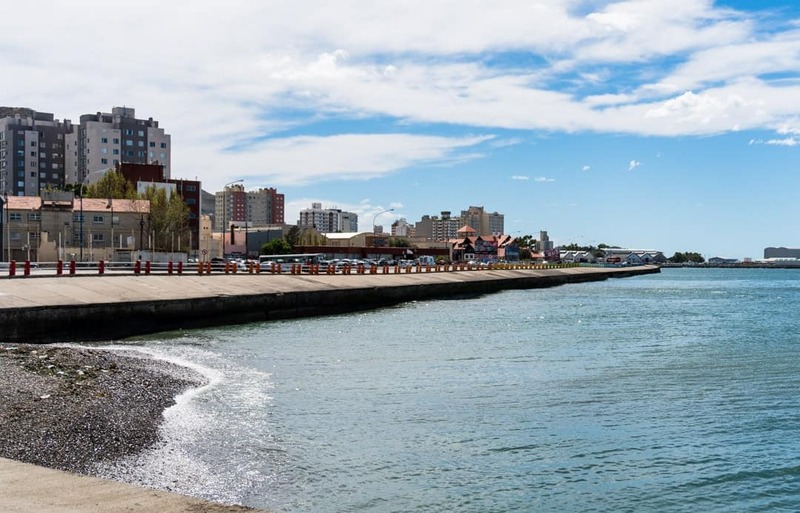 If you don’t want to stop off in all the towns, at least spend a few days in Puerto Madryn, as it is one of the highlights of Argentina. Bring a book, charge your iPhone and have some movies to watch. You’ll have a lot of time to kill. We travelled from Buenos Aires to Ushuaia in partnership with Busbud. All thoughts, opinions and kilometres spent staring quietly out the window are as always, our own. Across the strait towards Ushuaia. I am planning a trip through Patagonia. From Ushuaia to Santiago, which cities could you recommend? And is it about the same price as from BA to Ushuaia? The buses in Argentina are expensive compared to other countries in South America. There are domestic flights that can be cheaper than the bus companies. Do check them out. You’ll find them on Skyscanner. We never got to the north of Argentina unfortunately. If you are heading across by bus, we have heard Cordoba is nice, Mendoza if you love wine and further north to Salta. Do check out Goats on the Road. They travelled a lot in that area. Have a great trip. How did you get back to BA? Did you fly or return via the same coach route? Hi Neil, from Ushuaia we crossed into Chile and traveled from Punta Arenas to Santiago slowly by bus stopping at all the places we wanted to. Do check the flight deals, sometimes they work out a tiny bit more expensive than the bus and saves you a lot of travel time. Have a great trip. Hi! I am planning this journey for this year.. but couldn’t find the route on the busbud link 🙁 could you help me please I want to book the tickets in advance.. Lovely article thank you for all the tips! Hi Elida, our advice would be to contact Busbud. They are super nice and will help you will anything you need. By sorting it by email and phone you can lay out the route you want to take and they will be able to give you a price. All the best. Hi Lewis, It is a long country. We loved Puerto Madryn and we wished we stayed there longer. Check out the flight prices but they can be very expensive also. You can even go across to Bariloche (west) and continue down the west side. Happy travels. Hi guys, I am planning to do the last part of your trip from Rio Gallegos to Ushuaia by bus. I read that at the Chilean border food like sandwiches are confiscated..since the trip takes the whole day, how do you arrange with eating? Does the bus make some stops at bars/kiosks along the way after the Chilean border? Thank you! thank you for the detail overland guide. I plan to do the reverse from Ushuaia to Buena Aires around December 2017. However, when i check busbud, i do not get any available bus tickets on all the days from 6th december to 14th december. especially for the Ushaia to Rio Gallegos section. Is it 2 different bookings? Ushuaia to Rio Grande and then another booking from Rio Grande to Rio Gallego? Hi Edward, Because you cross the border into Chile for a bit most bus companies want to see you have the correct paper work. Maybe drop BusBud an email. They are really helpful. All the best. I absolutely love Argentina. I lived out there for a year dong my study abroad which was years ago. I keep hearing prices have gone up a lot because of terrible monetary policy. This is one my only hesitation for going back on a long trip. The buses are pretty epic though quite long. I remember bussing to various parts including Buenos Aires to Iguazu Falls. Argentina is a long country. Thanks for this post. Thank you so much for your comment Mark. Glad you had a great time on your previous trip. Unfortunately prices have skyrocketed. It is not a cheap country at the moment. We hope you do get back there one day. What an amazing journey, the scenery at Ushuaia looks fantastic. 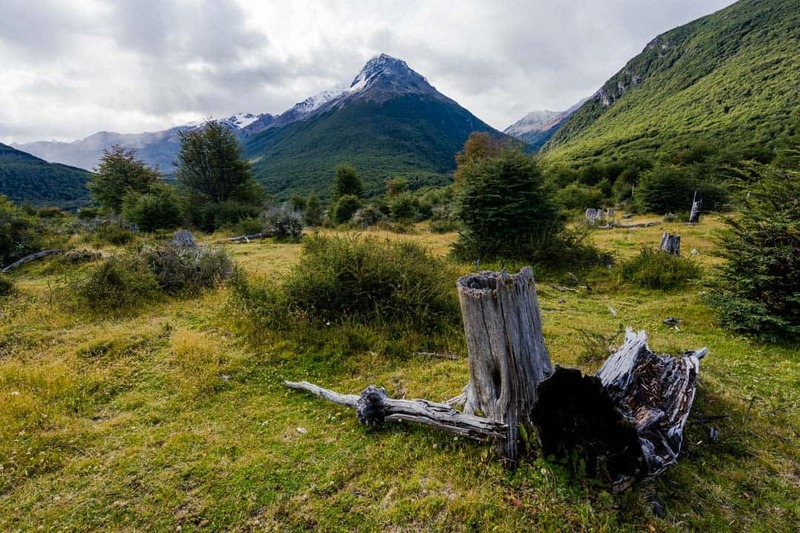 In fact the whole of Argentina and Tierra del Fuego looks amazing. Ushuaia was awesome. We really did love this part of the world. Thank you for your comment and we are glad you enjoyed the article.